SAAB Gripen is a result of relaxed-stability fighter rush initiated by (at the time) revolutionary F-16 fighter aircraft. It is not surprising that SAAB opted for delta-canard layout they themselves pioneered in 1960s, but other options were also evaluated (and rejected). 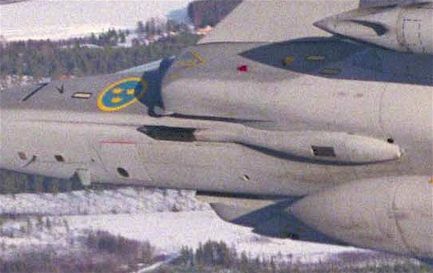 This was influenced by testing programme of Viggen in late seventies, which verified benign high AoA characteristics of the layout. To Sweden, choice of small, cheap but highly capable fighter aircraft was obvious. In 1979, after cancellation of too expensive B3LA project (a development of subsonic trainer and light attack aircraft), Swedish Air Force carried a reexamination of its requirements. Conclusion was that only affordable option was development of multirole aircraft capable of carrying out air superiority, ground attack and reconnaissance missions. Thus the JAS programme was born, drawing name from specified requirements (Jakt – fighter, Attack – attack, Spaning – reconnaissance). In March 1980, Government endorsed the plan, but insisted that foreign contractors should be allowed to bid for the contract. As a response, Swedish (state-owned) aircraft industry formed a JAS Industry Group, comprising Saab-Scania, Volvo-Flygmotor, Ericsson Radio Systems and FFV to manage the bid by Swedish industry. Formal proposals were requested in 1981, and JAS IG submitted their proposal on 1 June 1981. After evaluation of proposals, it was decided to go forward with JAS proposal. On 30 June 1982, a fixed-price proposal was signed between the FMV and IG JAS for 5 prototypes and 30 JAS-39A aircraft. Following month, name Gripen was selected for the aircraft. Ericsson was tasked with developing multi-mode radar, while FFV developed navigation and attack systems. Mock-up of the final design was unveilled in early 1986. However, development of Flight Control System caused delays in final assembly of the aircraft, with first Gripen rolling out of assembly on 26 April 1987, after 7 years of development. First flight was achieved on 9 December 1988, but after its sixth flight, on 2 February 1989, aircraft veered off the runway and carwheeled. Following that, FCS was fixed, and on 4 May 1990, JAS-39-2 flew with new software. Fifth and final prototype flew on 23 October 1991. Testing showed drag to be 10% lower than predicted, and airfield performance was also better than specifications. In June 1992, contract for second batch of aircraft was approved. On 4 March 1993, first production Gripen (JAS-39-101) made its flight, with second production aircraft delivered for service testing on 8 June 1993. It soon crashed during air display over Stockholm due to the pilot loosing control and having to eject. Following the accident, further flight testing was suspended until FCS was revised. Revisions included changes to canard deflection angles in combat mode. Testing continued on 29 December 1993. One JAS-39A was converted from production line to serve as prototype for twin-seated trainer, JAS-39B. It features 65,5 cm fuselage stretch, and rear cockpit that is, except for lack of HUD, identical to the front one. On 12 June 1995, SAAB and British Aerospace announced joint development of export variant. In 2001, joint venture was registered in Sweden as Gripen International. As Gripen was designed solely for Sweden’s needs, Export Baseline Standard was developed, resulting in C and D variant of the aircraft. Soon, Swedish Air Force decided to also acquire the new version, with last 20 aircraft of Batch 2 and 30 aircraft of Batch 3 conforming to EBS specification. EBS featured retractable inflight refuelling probe on the port air intake, full-color English-language cockpit displays in Imperial units, new computers, night-vision compatible cockpit lightning, FLIR and reconnaissance pods, more powerful air conditioning system, OBOGS and stronger wings with NATO standard pylons. In December 2004, BAe sold large portion of its stake in Gripen International to Saab, finally selling remaining 10% of their stake to Saab in June 2011. On 26 April 2007, Norway signed an agreement on common development of aircraft, with agreement between Saab and Thales Norway following in June, concerning development of communications systems. In June 2007, NATO Link 16 was added to datalink systems of Gripens in Swedish service. On 23 April 2008, Gripen Demo (requested in 2007) was presented, serving as demonstrator for Gripen NG. On 27 May 2008 it had maiden flight, and demonstrated supercruise ability on 21 January 2008, flying at Mach 1,2 without reheat. In 2010, Sweden awarded 4-year-contract for improving Gripen’s radar and other equipment. On 25 August 2012 Sweden announced plan to buy 40-60 Gripen NGs, following Switzerland’s decision to buy 22 Gripens of the same variant. On 17 January 2013, Sweden’s government approved decision to buy 60 Gripen E’s, with first deliveries in 2018. Unlike with Viggen, Gripen’s test flights revealed no aerodynamic, structural or engine deficiencies; in fact, all of them were better than predicted. Only structural “fix” was added strake behind each canard surface. Saab Gripen is designed as a lightweight, highly maneuverable fighter. Close-coupled canard + delta wing arrangement was chosen to optimize maneuvering performance while also providing acceptable strike capabilities. Testing programs have verified excellent recovery capabilities for both Gripen versions. Further, delta canard configuration has inherently good battle damage tolerance due to “overlapping” surfaces, as well as positive trim lift on all surfaces, high maximum lift coefficient, good air field performance, and spin recovery capability. Floating canard also offers stable aircraft if EFCS fails. To minimize weight, 30% of the structure is carbon-fibre composite. Aircraft is inherently unstable, and SAAB claims that it is first inherently unstable canard fighter to enter production. While Gripen has low wing loading and good lift at high angles of attack, as well as relatively short wingspan, its thrust to weight ratio is below 1 at combat weight. Aircraft has operational service life of 8 000 flight hours. One of things that can be noticed is large degree of wing/body blending, similar to F-16, which results in higher lift during maneuvers, as well as little or no interference drag that usually originates from wing-body juncture. Only exception to that are intakes, which are in side arrangement, with flat surfaces used for mounting canards. Body itself, having a “waist” noticeably thinner than parts immediately in front or aft of it, is clearly designed for transonic maneuvre. 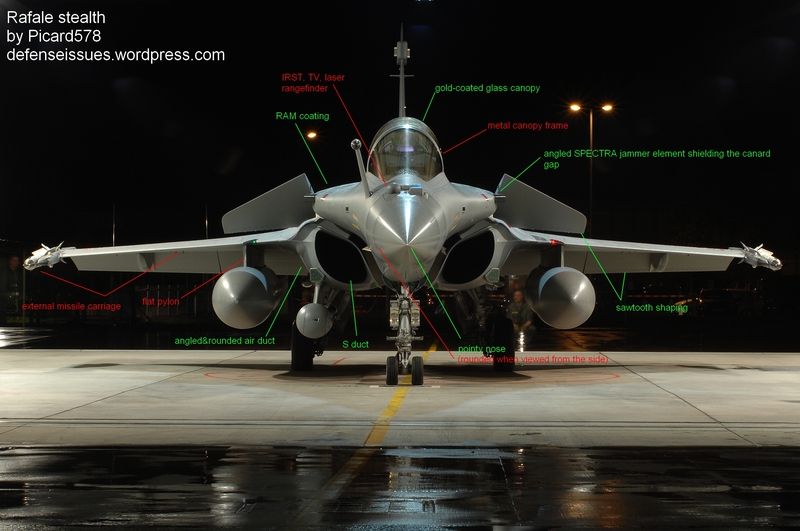 Two small strakes are visible on the upper fuselage, located just behind canard surfaces, and single strake can be seen at bottom of fuselage; their purpose is to help enhance directional and lateral stability at high angles of attack. Saab Gripen has canards that are relatively large compared to the wing. Canards are positioned close in front and slightly above the wing, and are tilted upwards, with large sweep-back. Location of canards at sides of air intakes prevents obstruction of air flow. Primary purpose of close-coupled canards is not to act as control surface, but to increase lift at high angles of attack, where aircraft relies mostly on vortices to provide lift, by strengthening vortices generated by the wing and preventing their breakdown. Size and angle of Gripen’s canards are used to achieve as good as possible separation – vertical and horizontal – between canard’s tip and wing’s lifting surface, thus allowing for maximum vortex lift during high-alpha maneuvers – improvement of lift due to the close coupled configuration could be up to 50%, when compared to lift produced by surfaces in isolation. 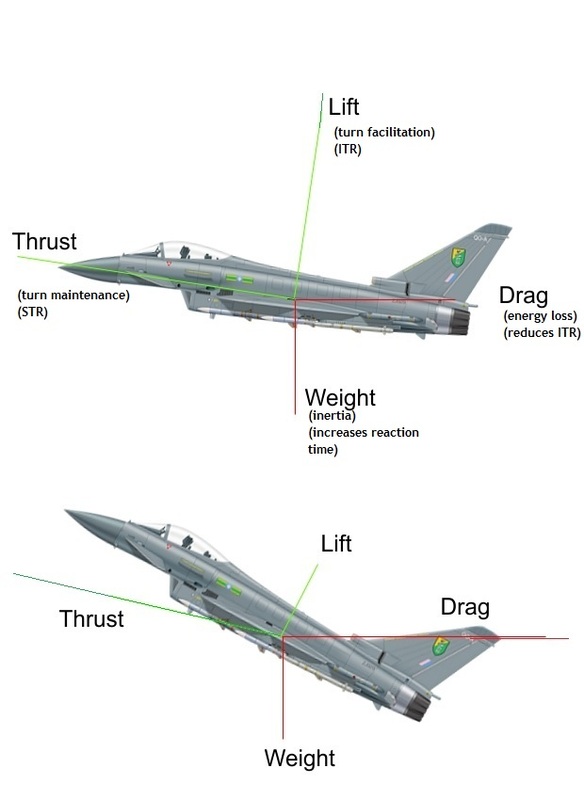 While thrust vectoring only increases maneuverability at very low speeds, and in supersonic regime, close-coupled canards are effective at any speed, though level of effectiveness varies with speed. As such, aircraft with close-coupled canards can have smaller wings for same lift at higher AoA (improving roll rate), being able to turn tighter at any air speed than otherwise possible with same wing size and angle of attack value, and achieving higher instantenenous turn rate. This also means that aircraft will be able to have lower wing span for same wing sweep and lift values, improving roll rates; smaller wing and reduced angle of attack also mean reduced drag when turning, allowing fighter to maintain energy better. However, downwash from canards also reduces wing lift at low angles of attack, reducing maximum payload fighter can carry. Compared to LEX, canards are more versatile. Aside from being able to act as a control surface, canards can adjust position so as to produce maximum lift at any given angle of attack. While Gripen managed to achieve angles of attack between 100 and 110 degrees during flight testing, normal AoA limit is 50 degrees as extremely high AoAs have no tactical use. Further, position of canards contributs to the fuselage lift of the fuselage just behind the canards during the turn, and canards themselves create lift, both in level flight and in turn. Canard also has advantage over tail as the control surface – as center of gravity for modern aircraft is towards rear of the aircraft, usage of canard results in longer moment arm. Canards can be tilted forward to nearly 90 degrees in order to aid braking during landing. Wing itself is standard delta wing, offering large surface area, large volume and high strength for its weight. Shape of the wing ensures creation of vortexes at high angles of attack by wing’s leading edge, improving lift; wings are also equipped with small LERXes to strengthen said vortices. Another high lift device are leading edge flaps, which are used to increase lift at high AoA. When deployed during high-alpha maneuvers, flaps improve lift; however, they can also cause vortex breakdown. They also redirect air flow towards root of the wing, countering the tendency of air flow over delta wing to move towards wing tip. While usage of flaps can reduce drag, it only happens at speeds near stall speed, while in most other cases they increase drag. When flaps are not deployed, dogtooth leading edge configuration results in creation of single strong vortice at each wing, helping lift by countering tendency of delta wings to move air flow towards wing’s tips, and leave rest of the wing in stall. Wing is neither anhedral or dihedral, being located at half of the hull height. Due to wing’s (lack of) thickness, external actuators are required to control elevons. Due to the Gripen being aerodynamically unstable aircraft, usage of delta wing also results in large trimmed lift during level flight, improving maximum lift by 10-20%, possibly more. Combination of close-coupled canards and low wing loading further improves air field performance, allowing for STOL capability. While mechanism of lift creation at high AoA create additional drag, they increase lift and thus turn rate. But what some ignore while talking about drag “penalty” of close-coupled arrangement is that flow separation, aside from causing loss of lift, also causes major increase in pressure drag. Rail launchers are located at wing tips, improving weapons loadout and allowing two missiles to be carried with minimum increase in drag, as well as improving lift/drag ratio of the wing. Gripen’s air intakes are two-dimensional intakes, similar to those used at RA-5C. Intakes are separated from aircraft’s surface by fuselage boundary layer splitter plate, and provide adequate handling of fuselage boundary layer. High-alpha testing revealed no deficiencies in intake performance. Tail fin is small relative to fighter’s size, compared to that of other Eurocanards and F-16. This might theoretically result in problems at high AoA; but usual way to change direction of aircraft is to rotate around X axis and pull nose up, and Gripen has additions on lower surface that may make fin unnecessary for directional stability. One of major downsides of Gripen is its cockpit. While it allows good forward and side visibility, rearward visibility is very limited. This is dictated by its strike requirements, where exhaust from cooling unit is located behind cockpit to hide it from ground-based IR sensors. While SAAB did attempt to attenuate the problem by installing mirrors on forward canopy frame, it is only a partial solution. Cockpit originally featured three monochrome multi-function displays, and wide-angle holographic HUD. It also has HOTAS controls that allow pilot to select many functions without lifting hands off the control stick or throttle. Ejection seat, unlike in previous aircraft, is not SAAB’s, but from Martin-Baker. Engine is based on General Electric F-404 engine. Version used in Gripen, lincense manufactured by Volvo, had thrust boosted from 16 000 to 18 000 lbf (that is, from 7 257 to 8 165 kgf). Gripen is capable of taking off and landing on roads, and could be capable of using unpaved runways. It can take off from 800 meter long snow-covered landing strips. Landing distance is reduced to 500 meters through usage of canards as air brakes, which is activated automatically when nose wheel establishes ground contact, as well as usage of elevons and large air brakes located at each side of fuselage behind the wing. Further, it can be maintained by team of one specialist and five minimally-trained conscripts, and has very good combat turnaround time – less than 10 minutes. Gripen requires 10 man hours of maintenance for each hour in the air, and mean time between failure is 7,6 flight hours. Engine can be changed on road by 5 people in less than one hour. Airplane’s on-board systems include built-in “self-test” capabilities, with data being downloaded to technician’s laptop. All service doors to critical systems are at head level or lower for the easy access. Result is that Gripen requires only 60% of maintenance work hours of Viggen. Aside from providing superior agility, Gripen’s FBW system is capable of automatically compensating for combat damage, including disabled or destroyed control surfaces – for example, using canards if aelirons are disabled. Due to its aerodynamic layout, Gripen can be “parked” at 70 to 80 degrees of alpha. When giving adverse aeliron input, flat spin starts at up to 90 degrees per second rotation, and can be stopped by pro aeliron input. Aircraft has demonstrated spin recovery capability for complete cg and AOR range, as well as control capability in superstall, allowing recovery. During the spin testing, in one occasion when spin entrance was gained by wild maneuvering in afterburner, surge in thrust was recorded at high AoA and side-slip angles, but was immediately followed by instant recovery to full power. Aircraft has operational G load limit of 9, and ultimate limit of 13,5 Gs. Gripen is armed with single Mauser BK-27 cannon, housed in a fairing on port side of aircraft’s belly (can be seen here). It currently also uses Sidewinder IR AAMs, though these are to be replaced with IRIS-T missiles. BVR missile is AIM-120 AMRAAM, though aircraft is also capable of using MBDA Meteor, Matra Mica, and BAe Sky Flash (built in Sweden as Rb-71). For anti-ship combat as well as ground attack, it can carry SAAB RBS-15 missile (though only Mk3 version of the missile supports land attack missions). Dedicated air-to-ground missiles are AGM-65 Maverick (built in Sweden as Rb-75). Fact that Gripen uses revolver cannon is a large advantage over aircraft using Gattling guns: while Gattling guns typically take 0,5 seconds to achieve full rate of fire, revolver cannons take only 0,05 seconds. As such, while M61A1 will fire 25 rounds in first half of second, weighting total of 2,5 kg, BK-27 will fire 13,45 rounds, weighting total of 3,5 kg. Larger caliber also ensures greater damage-per-hit, important due to stronger airframes of modern fighters. Aside for gun, Gripen also has 6 missile hardpoints on wings. Two of these are in wingtip configuration, ensuring minimal drag in flight, while other four are mounted on low-drag pylons. Another hardpoint is located at the bottom of aircraft’s hull in centerline configuration. It is usually used for fuel tank carriage, though it can also carry targeting pods as well as ground attack ammunitions. Gripen is equipped with radar PS-05/A, that is capable of detecting targets with RCS of 5 m2 at distance of 120 kilometers, which translates into 80 kilometers against 1 m2 target. EW suite is built around AR-830 Radar Warning Receiver, with receiveing antennas at front and back of missile launch rails. BOL dispensers are bult into ends of missile launch rails and have capacity of 160 chaff packs or flares; BOP/C dispensers are built into the fuselage, and BOP/B into end of the wing pylons. Lattermost can trail BO2D towed repeater RF decoy, which can be used at supersonic speeds. 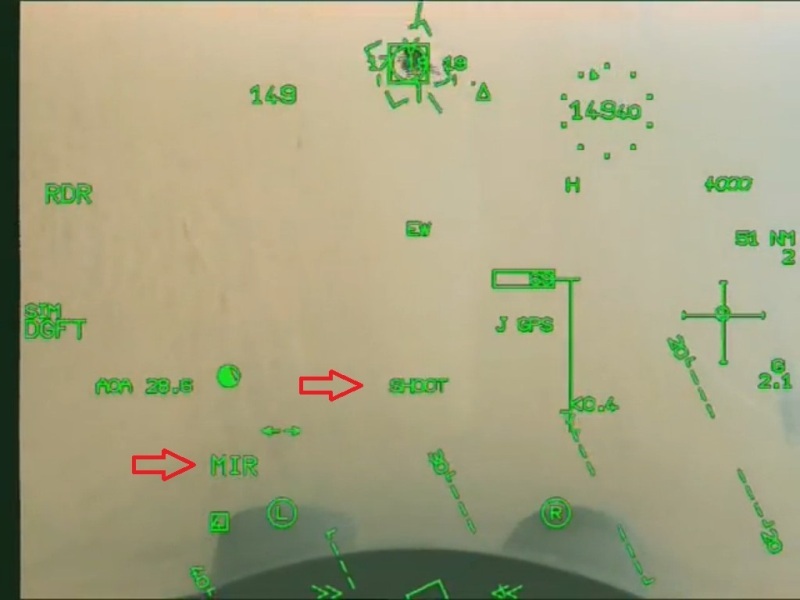 Gripen’s limited sensory suite in versions so far is a large shortcoming in combat – namely, lack of IRST, which means that Gripen pilot will have to rely on visual detection (not possible during night, insufficient in bad visibility conditions) or on opponent using his own radar (relying on opponent being an idiot should never be part of any plan). This was realized by SAAB, and Gripen NG will be given IRST; earlier version of Gripen, however, will either have to be retrofitted with an internal IRST system, or settle for using FLIR pod for both air-to-air and air-to-ground missions (if possible). That is probably connected to the fact that Gripen was always intended as a defense weapons, and could thus rely on directions from the ground. While the fact that Gripen is relatively small aircraft automatically means smaller IR and visual signatures, there were some specific attempts made at further reduction. Just behind cockpit are located ducts, which are used to release exceess heat from heat exchangers, reducing Gripen’s IR signature as seen from ground. As far as radar signature is concerned, care was taken to reduce frontal RCS, though side RCS is not likely to be large as long as radar emitter is not at precise 90 degrees angle relative to the aircraft, which would result in return from aircraft’s side surfaces – in particular tail, nose and intake surfaces. Flygvapnet pioneered the use of datalinks in the combat aircraft, fielding first versions on SAAB 35 Draken in mid 1960s. Gripen is equipped with four high-bandwidth, two-way data links, with range of around 500 kilometers. This allows for exchange of targeting information and other data, even when one of aircraft is on the ground. One Gripen can provide data for four other aircraft, as well as get access to ground C&C systems and SAAB-Ericsson 340B Erieye “mini-AWACs” aircraft. 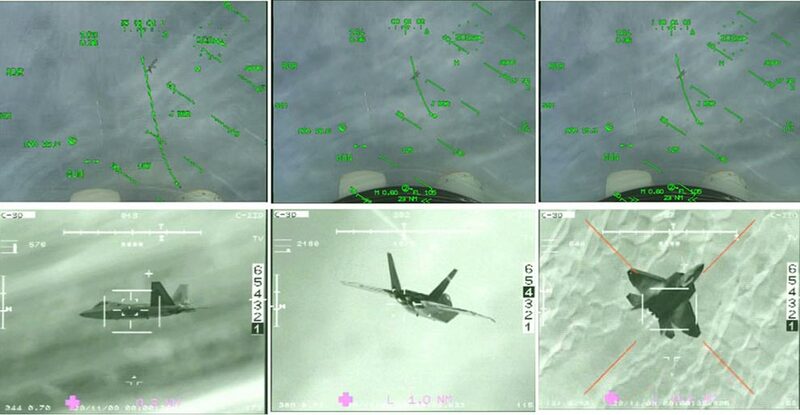 It can also allow fighters to quickly and accurately lock on to target by triangulation of data from several radars. Annother possibility includes one fighter jamming the target while another tracks it, or several fighters using different frequencies at the same time to penetrate jamming easier. For Gripen E, SAAB has stated that empty weight will be under 7 000 kg, and engine also apparently has 22 500 lbs of thrust. It also has 3 300 kg of internal fuel, achieving 1 300 km combat radius with 30 minutes loiter time in AtA configuration on internal fuel, or 1 800 km with no loiter time. OTIS IRST will also be added. Gripen NG will be significantly cheaper than other 4,9 generation aircraft, such as Eurofighter Typhoon or Dassault Rafale, and with 22 ordered by Switzerland and 40-60 by Sweden itself, it has prospect to achieve success on export market as well. Some sources place flyaway cost at less than 50 million USD; my estimate is that it will likely be around 45 – 55 million USD per aircraft. According to some reports, wing area is double of Gripen C’s, fuselage is 20% longer, but it is made out of carbon nanotube reinforced polymer composites, reducing weight compared to Gripen C. All images of Gripen NG to date, however, seem to be using Gripen C / Gripen Demo as basis (Gripen Demo is test aircraft built by using Gripen C airframe, and images that could indicate wing area don’t show any difference in fuselage dimensions). Another presentation also shows Gripen NG’s empty weight as 7 120 kg, and wing loading as 317 kg/m2 in combat configuration with 50% fuel. (Interesting point is that same presentation states that IRIS-T will be able to shoot down BVR missiles from other aircraft, though slide in question is not entirely clear). OTIS IRST will operate in 3 – 5 and 8 – 11 micron wavelengths. Conclusion? I won’t draw conclusion about NG until it is airborne and in service.